From #1 Bestselling fantasy author Morgan Rice comes a new series for middle grade readers (and beyond)! Fans of Harry Potter and Percy Jackson—look no further! From #1 Bestseller Morgan Rice comes an unforgettable new fantasy series. 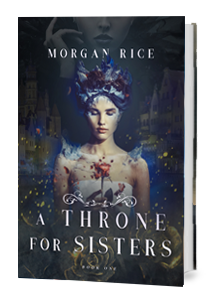 In A THRONE FOR SISTERS (Book one), Sophia, 17, and her younger sister Kate, 15, are desperate to leave their horrific orphanage. Orphans, unwanted and unloved, they nonetheless dream of coming of age elsewhere, of finding a better life, even if that means living on the streets of the brutal city of Ashton. Sophia and Kate, also best friends, have each other’s backs—and yet they want different things from life. Sophia, a romantic, more elegant, dreams of entering court and finding a noble to fall in love with. Kate, a fighter, dreams of mastering the sword, of battling dragons, and becoming a warrior. They are both united, though, by their secret, paranormal power to read other’s minds, their only saving grace in a world that seems bent to destroy them. “THE SORCERER’S RING has all the ingredients for an instant success: plots, counterplots, mystery, valiant knights, and blossoming relationships replete with broken hearts, deception and betrayal.”–Books and Movie Reviews. The #1 bestselling, 17 book epic fantasy series with over 1,000 five star reviews, THE SORCERER’S RING revolves around the coming of age story of one special boy, Thorgrin, a 15 year old with special powers from a small village in the Kingdom of the Ring. An epic tale of friends and lovers, of knights and dragons, of broken hearts, deception, ambition, betrayal, of fate and destiny, of honor and courage, THE SORCERER’S RING brings us into a fantasy world which we will never forget, appealing to all ages and genders. “A superior fantasy. KINGS AND SORCERERS moves neatly into a wider circle of knights, dragons, magic and monsters, and destiny. A recommended winner for any who enjoy epic fantasy writing fueled by powerful, believable young adult protagonists.”–Midwest Book Review. The #1 bestselling, 6 book epic fantasy series with over 500 five star reviews, KINGS AND SORCERERS weaves the epic tale of Kyra, 15, who dreams of becoming a famed warrior like her father. As she struggles to understand her mysterious inner power, she realizes a secret is being kept from her about her birth, and the prophecy surrounding her. A sweeping saga of knights and warriors, of kings and lords, of honor and valor, of magic, destiny, monsters and dragons. A world that lives with us forever, appealing to all ages and genders. SLAVE, WARRIOR, QUEEN, book #1 in Morgan Rice’s new epic fantasy series OF CROWNS AND GLORY, tells the tale of 17 year old Adina—a beautiful, poor girl in the Empire city of Ceres, lives the harsh and unforgiving life of a commoner—and Thanos, an 18 year old Prince Thanos despises everything his royal family stands for and yearns to break free from the restraints of his upbringing. It weaves an epic tale of tragic love, vengeance, betrayal, ambition, and destiny. Filled with unforgettable characters and heart-pounding action, it transports us into a world we will never forget, and makes us fall in love with fantasy all over again. “Shades of THE HUNGER GAMES permeate a story centered around two courageous teens determined to buck all odds in an effort to regain their loved ones. 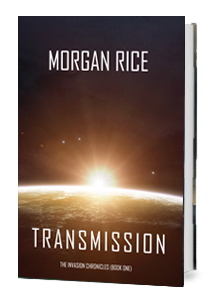 Recommended for those who enjoy dystopian novels, powerful female characters, and stories of uncommon courage.” —Midwest Book Review The #1 bestselling dystopian thriller series, with over 200 five star reviews! New York. 2120. America has been decimated from the second Civil War. Survivors, far and few between, join violent gangs, predators who live in the big cities. There is only one rule to their stadium, where opponents are made to fight to the death: no one survives. Ever. “A book to rival TWILIGHT and VAMPIRE DIARIES, and one that will have you keep reading until the very last page!” –Vampirebooksite.com. The #1 bestselling vampire series, with over 600 five star reviews! In THE VAMPIRE JOURNALS, 18 year old Caitlin Paine finds herself uprooted from her nice suburb and forced to attend a dangerous New York City high school. She suddenly finds herself changing, overcome by a superhuman strength, a sensitivity to light, a desire to feed. Caught in a forbidden love in a world she does not understand, she must decide if she will risk it all for the one she loves. “A book to rival TWILIGHT and VAMPIRE DIARIES, and one that will have you keep reading until the very last page!” –Vampirebooksite.com (re Turned). Kate, 17, hates her life. An outcast in her own family, who doesn’t understand her, she is hated by her more popular and beautiful sister, and despised by her controlling mother, who favors her sister over her. Kate’s only solace is her friends and her smarts. But even with that, her life seems destined for a dead-end—especially when her mother announces she will have to stay back from college to pay for her sister’s tuition. But one day, all that changes. On her 17th birthday, one of the popular boys falls for her. At the same time, a mysterious new boy, Elijah, arrives at her school, and their connection is undeniable. All seems to be turning her way—when a terrible accident turns her life upside down.